What a lovely New Year's surprise! 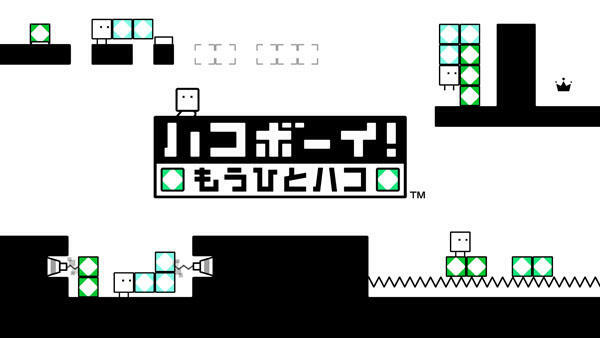 We're huge fans of HAL Laboratory's cute sleeper-hit BOXBOY!, and just a week after we proudly featured this gem on our best games of 2015 segment, Nintendo and HAL have announced a sequel. In fact, the game is already available on the Nintendo 3DS eShop in Japan. Titled BOXBOY! One More Box, our protagonist Qbby returns with the new ability of creating not one but two different strands of boxes. It might not seem like much of an improvement from the outside, but those who have played the first one know that this will pile on countless new possibilities. If the first game is any clue as to how HAL Laboratory will be approaching this new mechanic, then the sequel will milk it for all its worth. We're talking hundreds of levels with ridiculous possibilities that the average human mind couldn't come up with here. The game costs 630 yen in Japan, so expect another $5 release when Nintendo gets around to publishing it in the States. You'll be getting an extraordinary amount of game for that kind of cheese.